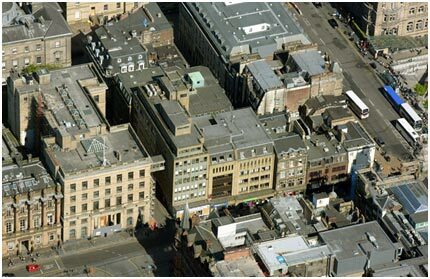 Central Demolition Ltd were awarded the contract for the demolition of the Venetian Building on West Register Street which is located in Edinburgh City Centre. 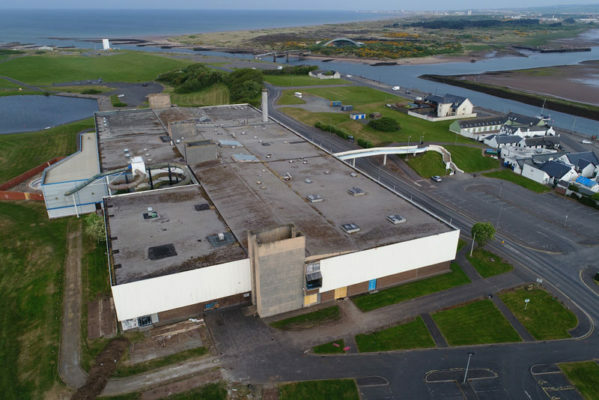 We completed the contract on 8th July 2018. 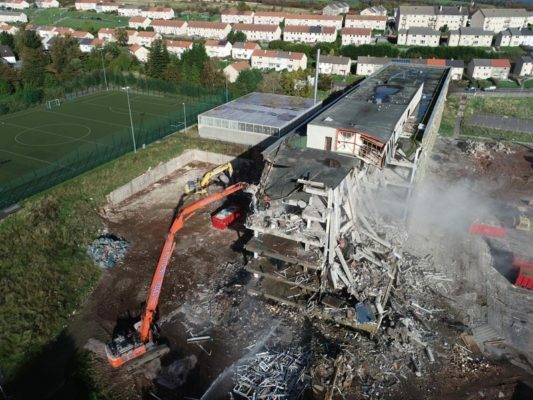 We has also recently completed demolition of another building on the same street a month prior. 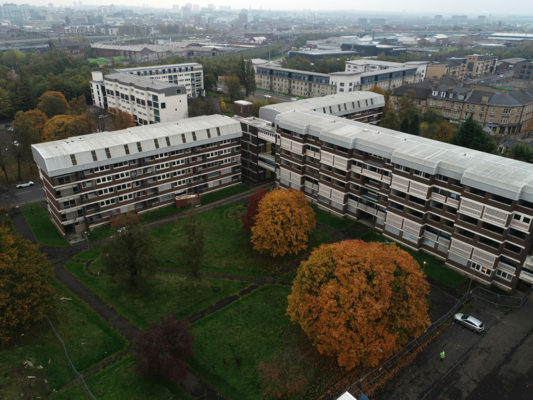 The structures that were to be demolished as part of this contract included the external stone wall, plus all internal floors, this contract also included façade retention systems as part of the first phase along with window retention. 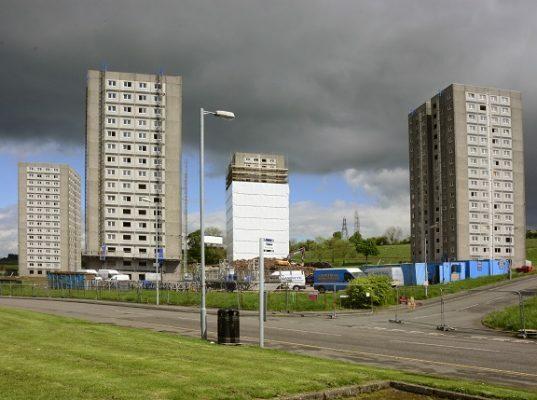 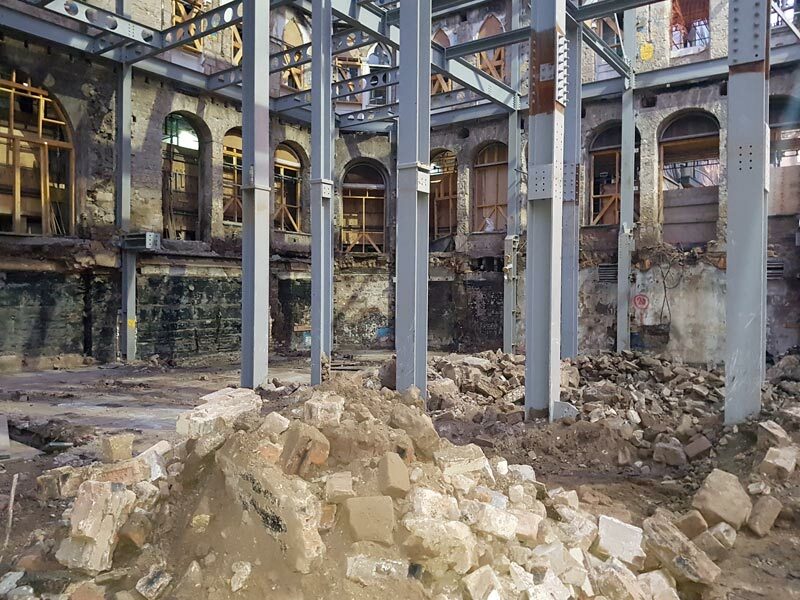 Firstly, this contract required preparatory works which was coordinating with steel erectors to allow the installation of the steel frame and column supports on each floor in order to progress to floor removal. 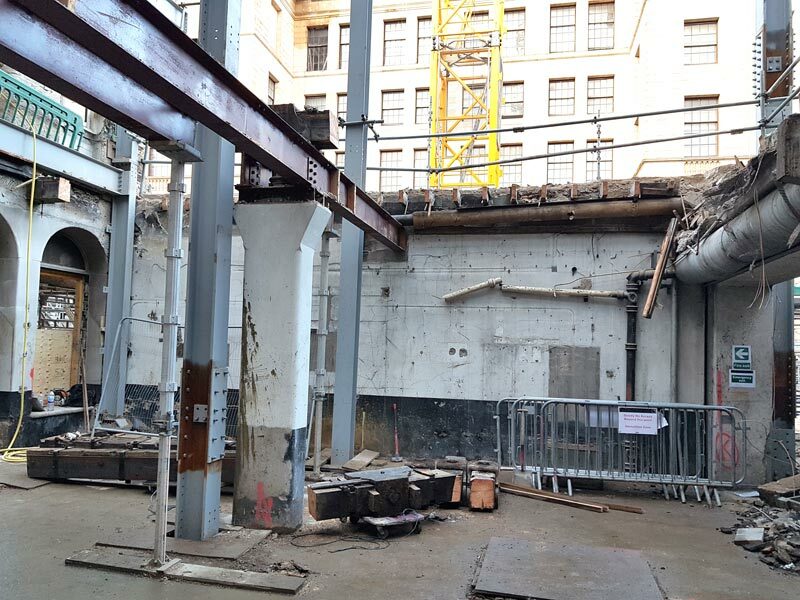 The floors and walls were broken out using small tools and then materials were transported to “drop zones” at the corner of the building for removal out of the building. 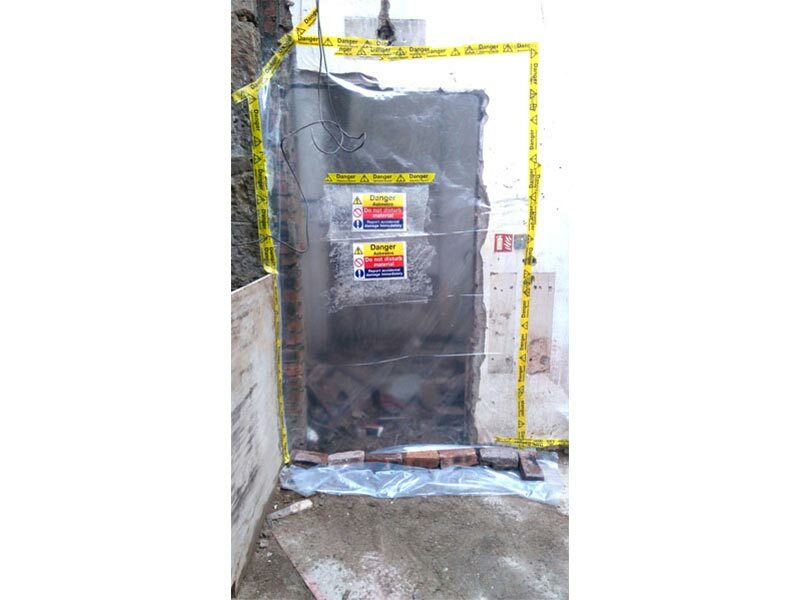 This made for difficult access and egress to the floors so extra care had to be taken when on site. 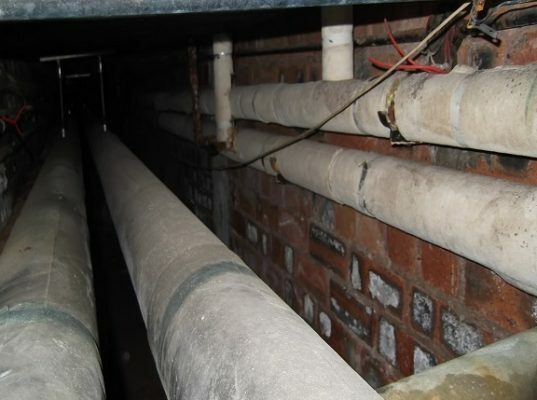 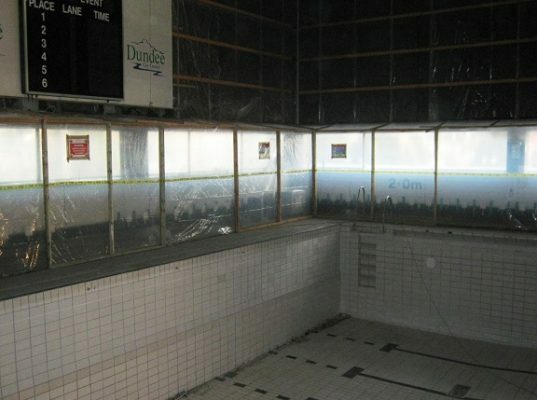 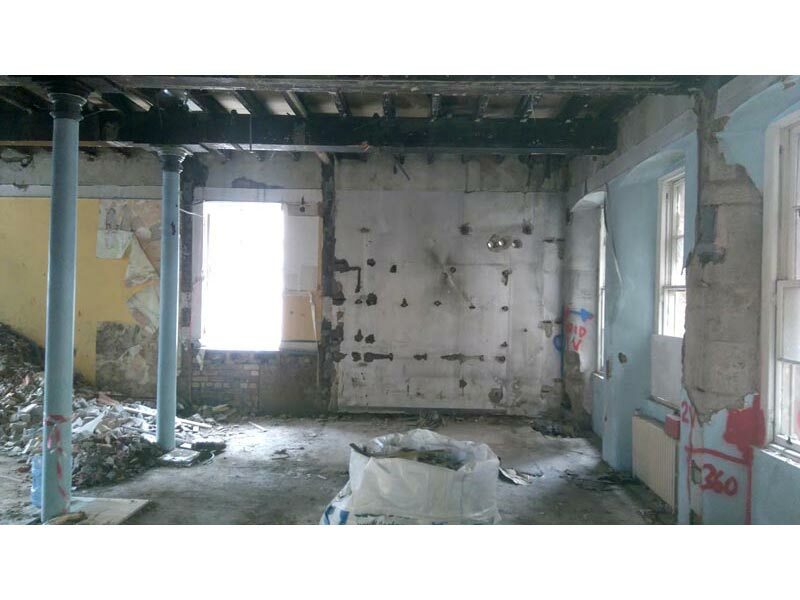 Asbestos removal was not part of the works outlined in the contract unfortunately we came across licensed asbestos in the form of spray coatings but this was notified and dealt with promptly by our fully qualified asbestos removal teams. 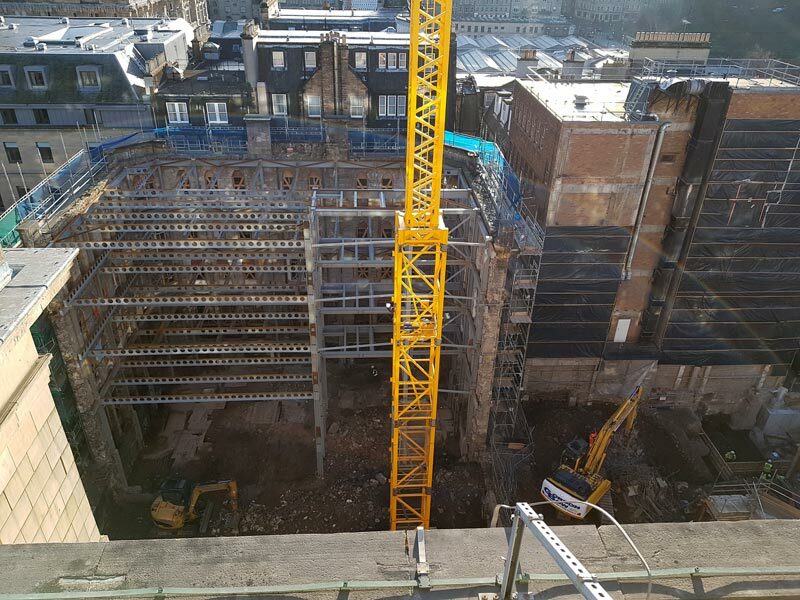 This project did involve some challenges as the works had to start of roof level which made the access to the demolition areas and the removal of arisings more difficult however this was managed by the use of drop zones and higher awareness of H&S on site, we were also working in close proximity to other live buildings such as hotels, pubs and restaurants which were accessed by members of the public for most of our working hours. 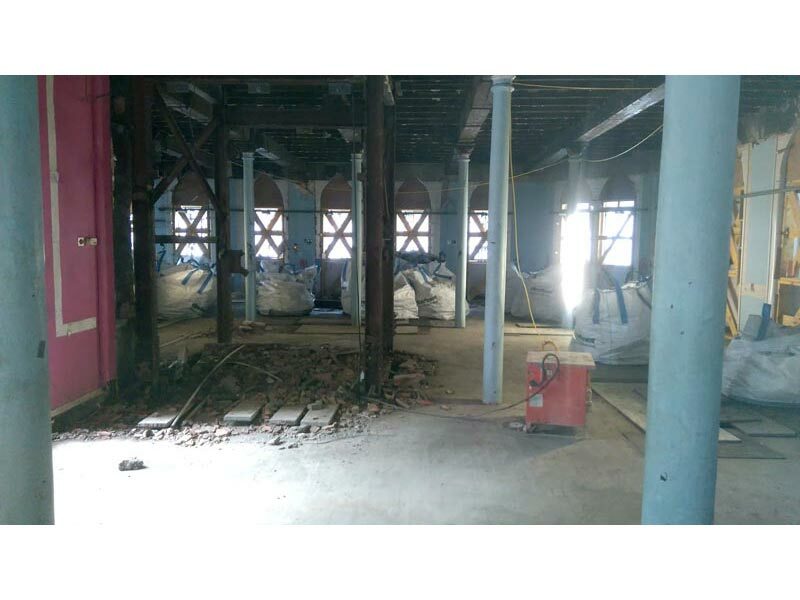 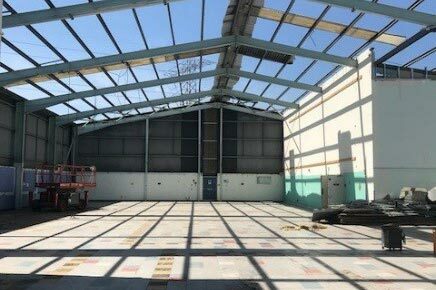 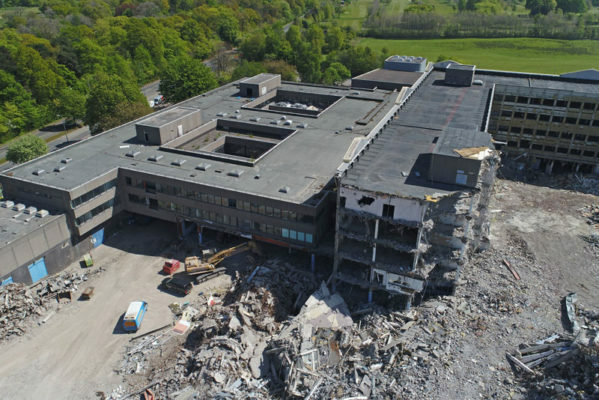 The main risks to this project however were coordinating the steel erection and asbestos removal works with our demolition works, however this was managed with careful planning and reviewing the methodology. 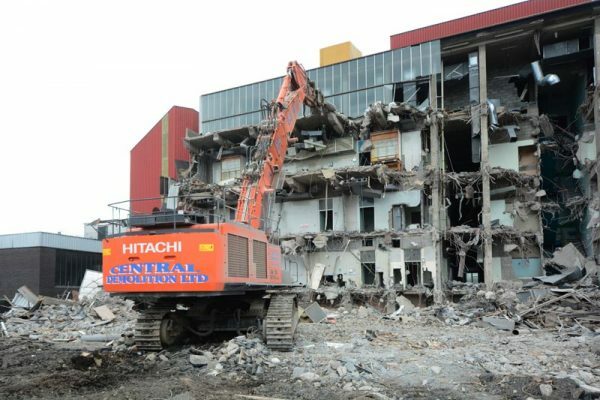 The recycling rate for this project finished at approx. 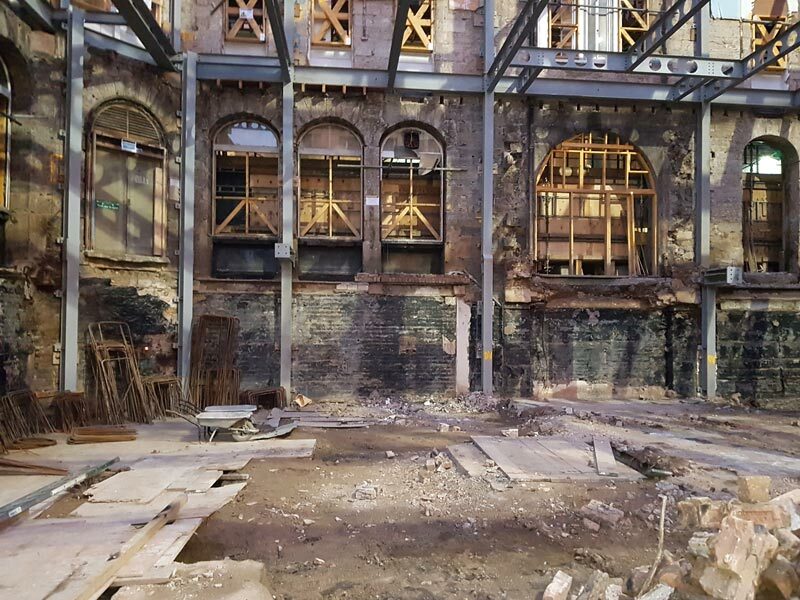 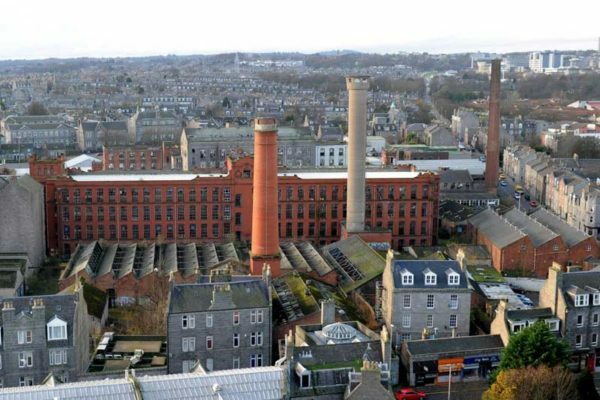 96% and we salvaged materials including slate, sandstone and internal cast columns for future use in the Edinburgh Conservation Area and all other arisings were processed through our recycling plant at our Bonnybridge HQ. 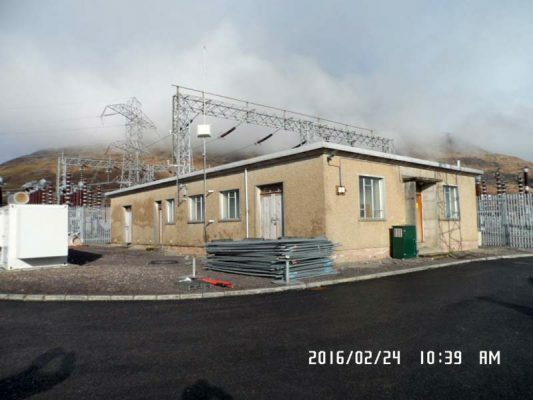 Despite the challenges to the project, we finished the works within the agreed timescales and budget and to complete client satisfaction.